I am lucky to have found direction and a passion for my work at an age that has allowed me to experience both the challenge and fulfillment of pursuing a dream. A childhood love of horses, exposure to many wonderful and consistent mentors, and the support of family and friends has fueled the energy and love that Friends For Tomorrow has come to represent to me. I was fortunate to meet remarkable and inspirational students during my first exposure to therapeutic horseback riding as a volunteer during my high school years. Sharing the experience with a family as they watched their 13-year-old son speak his first word, to a horse, is an experience that is as bright in my heart and memory as the day we all celebrated the moment a family thought they might never experience. In 1994, Friends For Tomorrow became a reality for me, and a place to let children facing physical, intellectual, and emotional challenges experience the freedom and friendship riding a horse has to offer. My educational background encompasses non-profit business management, a paralegal degree, and more than 30 years of ongoing training as an instructor of students with and without special needs. In addition, I am blessed with a wonderful husband and four loving children. As the founder of Friends For Tomorrow, I have cherished every stage of development, from our initial enrollment of two students a week to our current schedule which supports a full lesson load five days a week. Building towards our future, I am indebted to our staff and our board, the extraordinary group of individuals who ensure our program continues to seek excellence in our work. I am especially grateful to the students and their families, who inspire each of us with their courage and dedication. Friends For Tomorrow holds the promise of potential and success for every person involved with the program. The incredible support we receive from our host farm, our donors and volunteers, and the foundations that help to fund Friends For Tomorrow enable us to make a palatable difference in the lives of children and young adults whose future we hold in our hearts and hands. My journey at Friends For Tomorrow began as a lesson volunteer. I have always had a love for children and animals. Getting the opportunity to spend an afternoon a week at the farm working with the wonderful students, compassionate staff, dedicated volunteers and the four-legged gentle giants was gratifying. In between my time at the farm, I helped Diane with a number of marketing projects. Soon thereafter, Diane asked me to join the Friends For Tomorrow team. 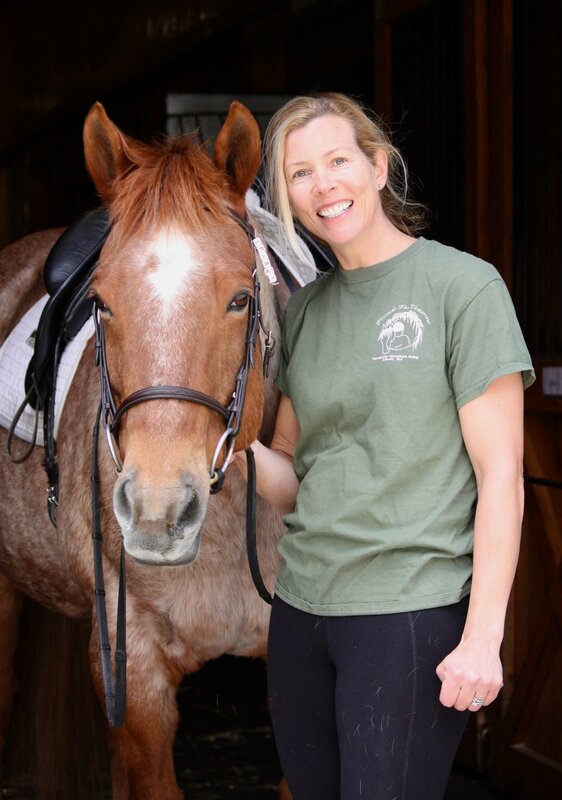 As the Director of Marketing and Business Operations, I am responsible for helping our organization thrive so that we can continue to offer our enriching programmings of Therapeutic Horseback Riding and animal-assisted learning activities including Pony Partners and Hooves, Paws and Claws to our deserving students and their families. Through the generosity of our student families and the number of supportive individual donors, organizations and foundations we are grateful and fortunate to have the resources to provide our students exceptional programming, tuition assistance for families who need support, and to provide our equine partners the care necessary to keep them healthy and enjoying their important work. I still get the chance to be hands-on with our students and horses. I am occasionally a fill-in volunteer and twice per year, I co-teach with Lucy, our Pony Partners program. These ten weeks with a group of wide-eyed and curious young horse lovers is both fun and fulfilling. I get great satisfaction knowing that I have been able to positively influence the lives of young girls. When I am not at Friends For Tomorrow, I enjoy spending spring and summer weekends in York Harbor, Maine, playing indoor tennis in winter, and capturing memories through photography every season. 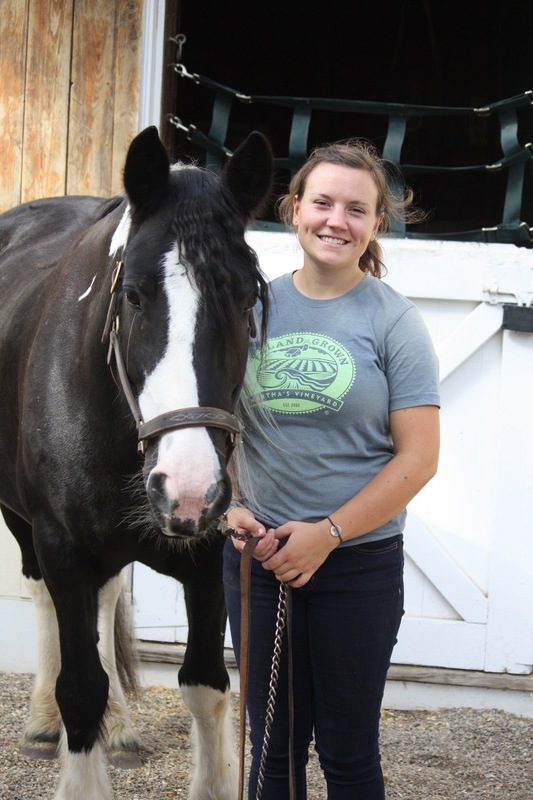 Working at Friends For Tomorrow as a horseback riding instructor, Head Instructor, and creator of Pony Partners has been a wonderful opportunity for me to bring animals and people together for their mutual benefit. What I find unique about therapeutic riding is that it is an individual sport involving muscle groups, balance, coordination, sensory integration and motor planning but it is also a team sport. The rider needs to form a bond with the horse and learn to work together, whether it is cleaning out his feet and saddling up or steering him through a series of obstacles. As a result, learning and growth occurs physically, emotionally and intellectually. Furthermore, the skills learned around the horse and on his back are not isolated to the time spent at Friends For Tomorrow. 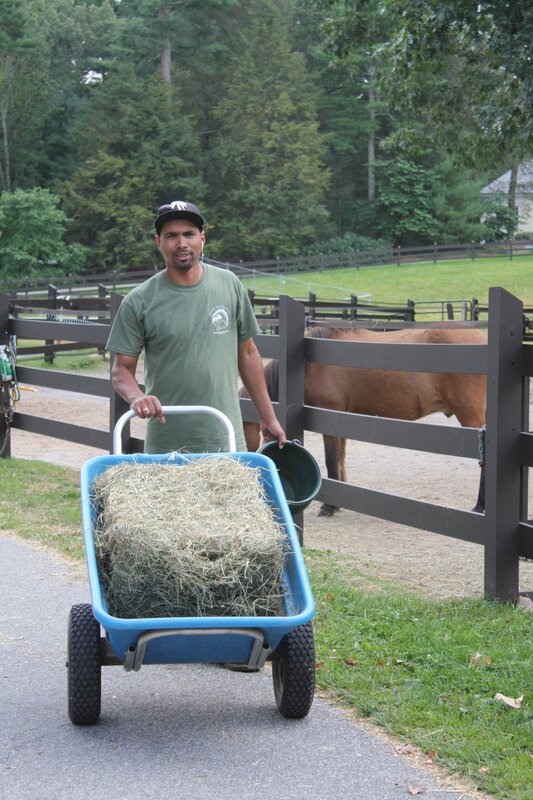 Our horseback riding students feel empowered as they carry their new accomplishments into their everyday life. I live in Lexington with my husband and wild mini poodle, Jacquie. We have two grown children who also live in the area. I have a Master's degree from the Simmons School of Social Work as well as a therapeutic teaching license. I have been working at Friends For Tomorrow since 2002. After a diverse and varied career that began with me rescuing a one-eyed cutting horse and later lead me into advertising in some of the largest cities in America, I have come to realize that I am most fulfilled by learning from and teaching with equines and their humans. That is what I’m on the path to do for the rest of my life, and it brings me great joy. 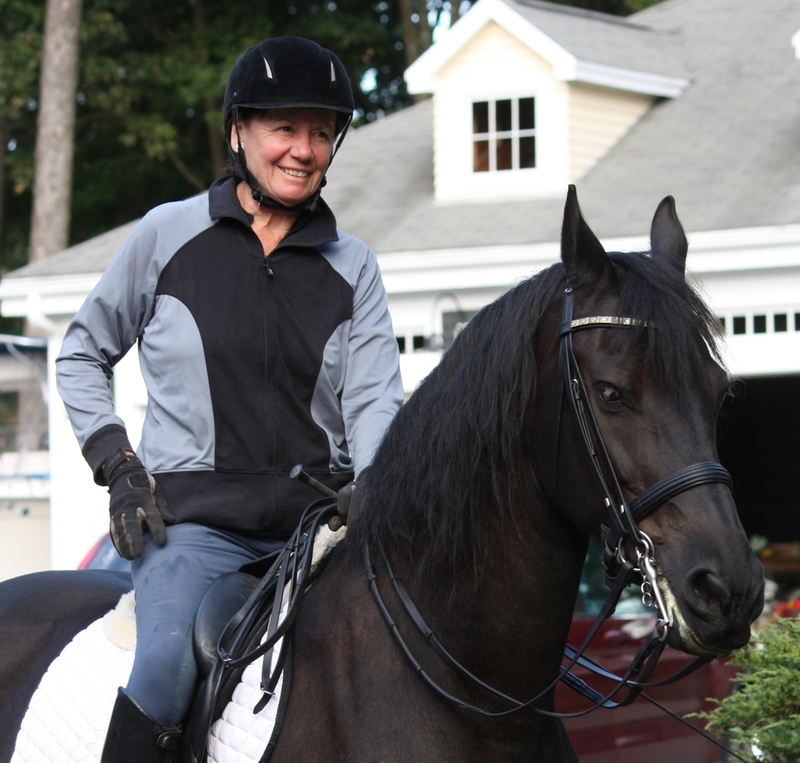 I hold dual PATH International Certifications; one as a Therapeutic Riding Instructor and the other as an Equine Specialist in Mental Health and Learning. After volunteering and teaching at many different therapy barns, some client safe-homes, attending many equine and trauma workshops and continuing to remain teachable, I’m excited to call Friends For Tomorrow home and I couldn't be more delighted! I live in Lincoln with my husband and daughter along with our fury family that happens to consist of rescued critters: horse Lord Nelson, dog Sandy from Pueto Rico, Tiny a cat from Attleboro, Charles a cat from the woods, Shakira a guinea pig that was re-homed, and Dwight Schrute and Abraham Lincoln two rabbit brothers rescued from a lonely barn.